Want to spook the whole neighborhood this Halloween? 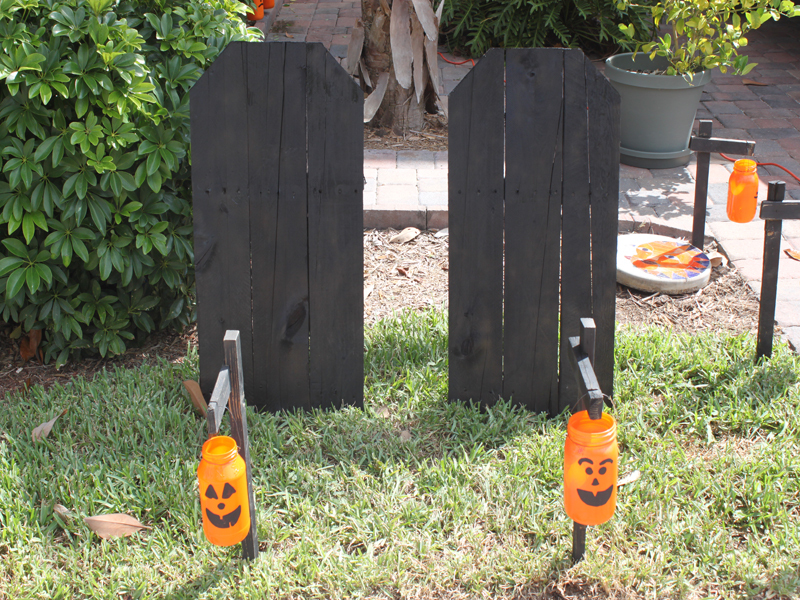 Turn your yard into graveyard with our clever Halloween how to. 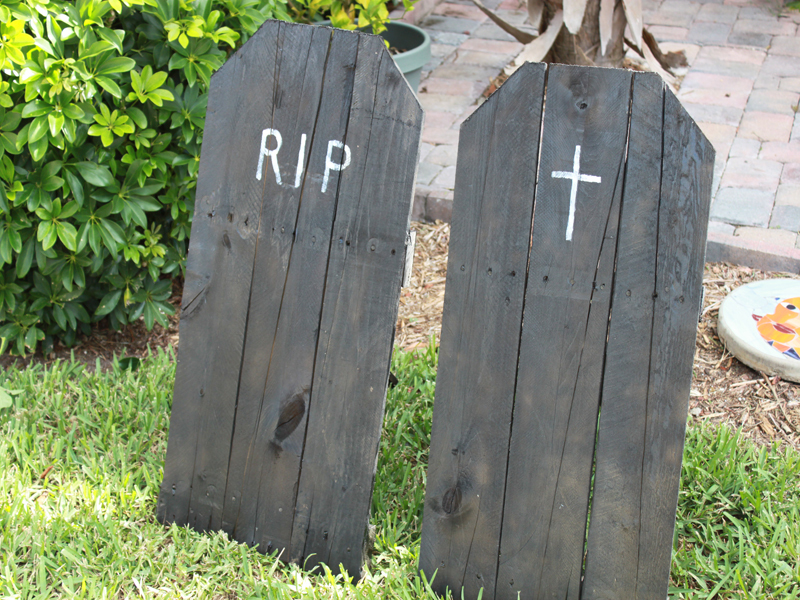 Our upcycled tombstones are made from leftover wood and paint. While you'll have to do a lot of the building, your kids can get involved in the process, too. 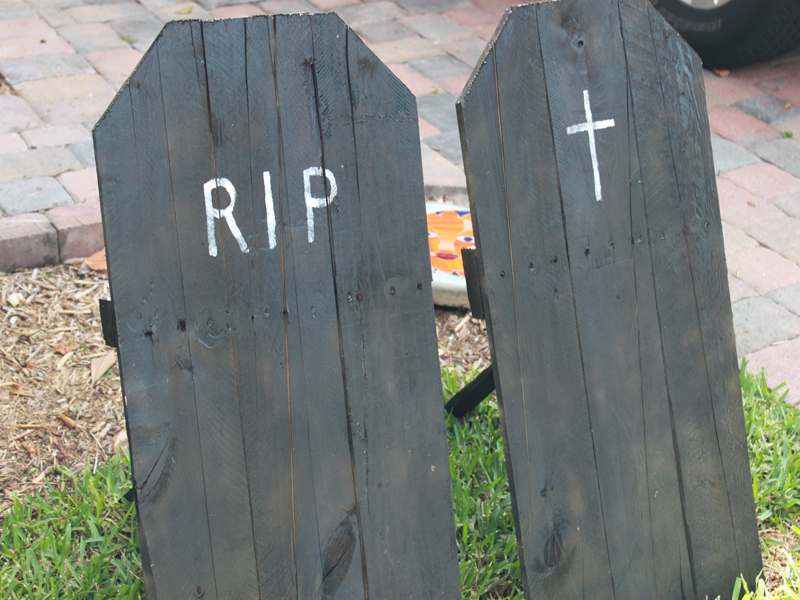 Read on to learn how to make a set of easy, eerie, upcycled Halloween tombstones. 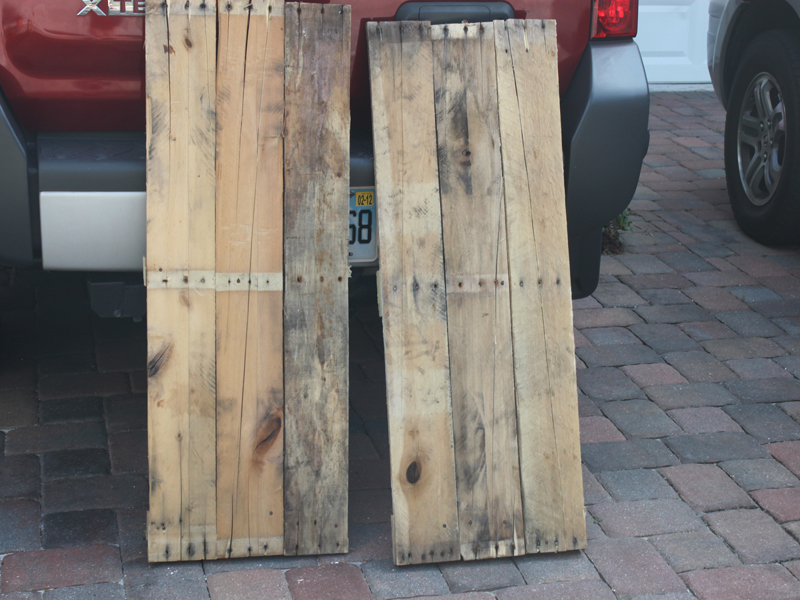 <h2>Step 1: Choose Eco-Friendly Supplies</h2> For this project you will need wood - we found an old wooden palette in a local dumpster. In the past, we've picked up wood from our local resource center. We reused the nails that were in the palette to transform the palette into tombstones. We had leftover zero-VOC paint in black, white and gray that we used. 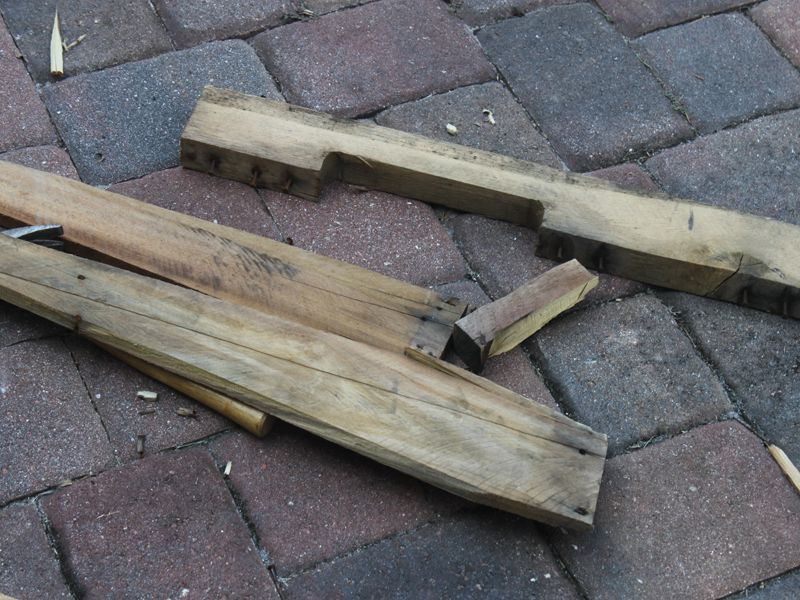 <h2>Step 2: Create the Tombstone Shape</h2> Use your scrap wood to make two (or more) long rectangles. We took the wooden palette apart and then put it back together in long rectangles, we were able to make 2 large tombstones from one wooden palette. 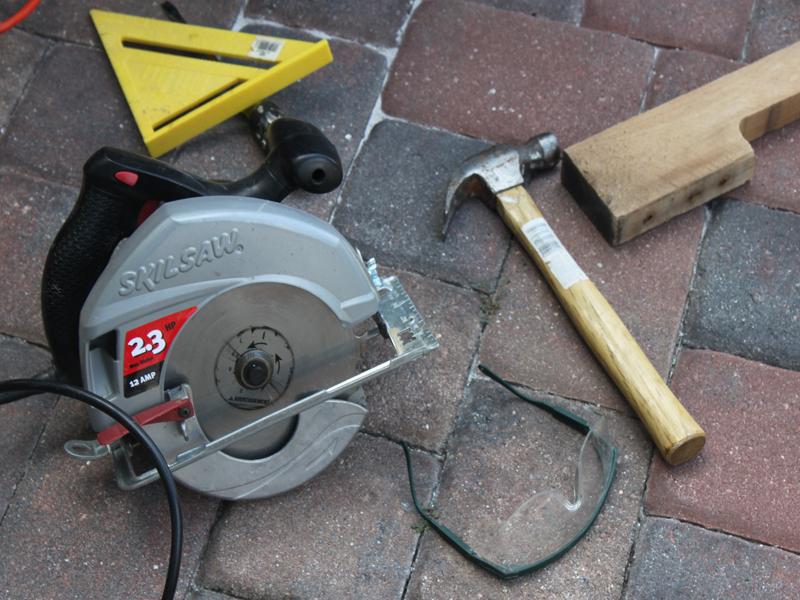 <h2>Step 3: Cut the Tombstone Shape</h2> ADULTS ONLY: Using a saw, cut the wood into a tombstone shape. 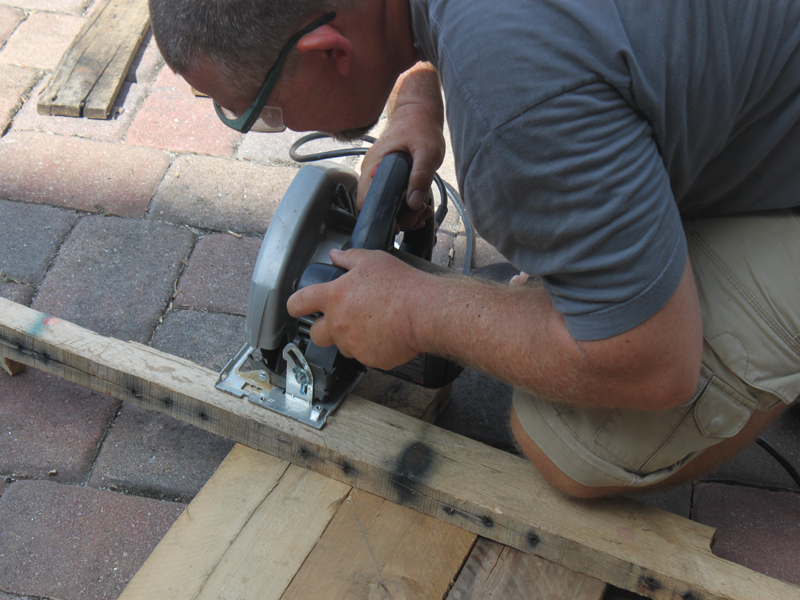 We just cut the corners off the top of the wooden palettes. 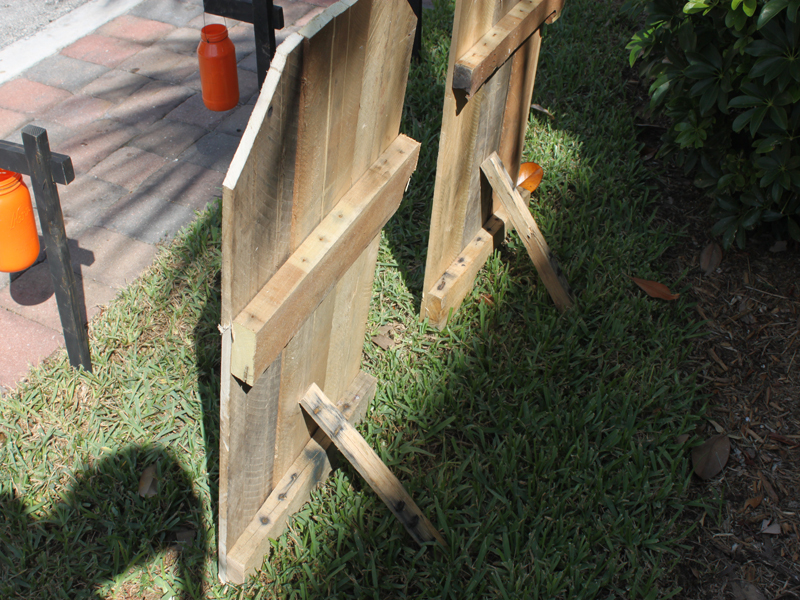 <h2>Step 4: Create the Tombstone Stand</h2> Using a leftover piece of wood, secure it to the back of the tombstones so they will stand up in your yard. 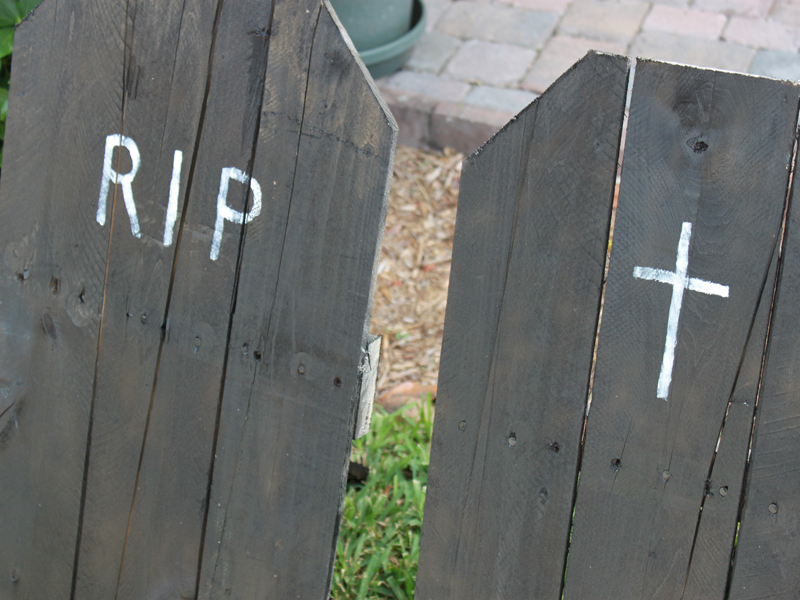 <h2>Step 5: Paint the Tombstones</h2> Using zero-VOC paint, paint your tombstones any dark color that you prefer. Children can help with this step, with supervision. <h2>Step 6: Add the Epitaph</h2> Let your children get creative in choosing an epitaph for the tombstone. <h2>Step 7: Scare your Friends and Neighbors</h2> Sit back and watch your friends, family and neighbors go batty over your Halloween cemetery.